Body Only version - no battery or charger. 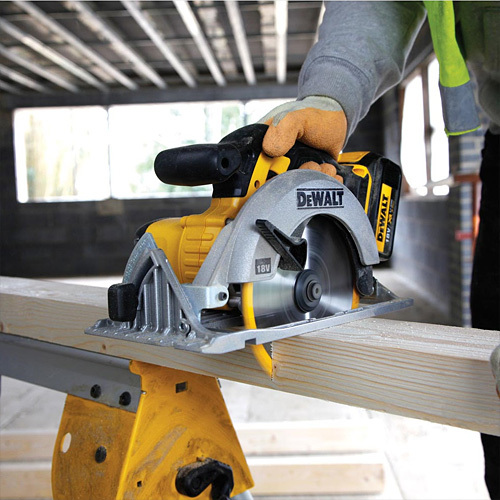 Compatible with Dewalt XR Slide Lithium-Ion batteries and chargers (sold separately). • Ergonomic handle set with rubber over-mold to optimise end user comfort. 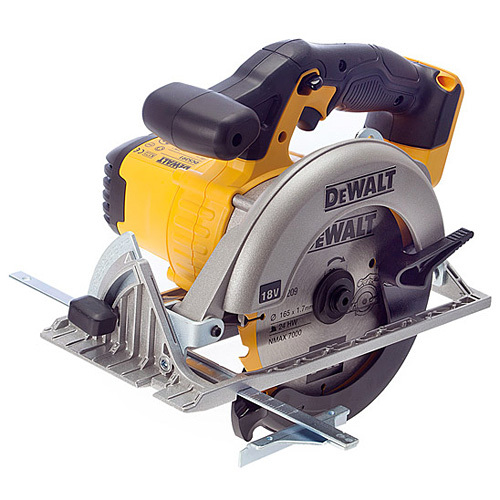 • Extremely durable tool design, including a cast magnesium base for repetitive, accurate cuts. • Intelligent trigger allowing total control over all applications. • Spindle lock for quick and easy blade change. • Lock off switch and electronic motor brake for additional control and work safety. 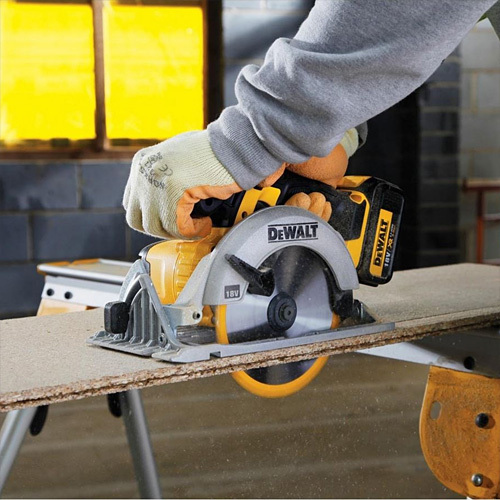 • Ultra thin kerf 165 mm, 24 tooth carbide-tipped blade allows for efficient run time and fast, smooth cut finish at maximum 55 mm depth of cut. • Improved ergonomic design and rubber grip increase comfort.